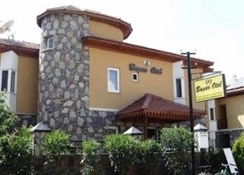 This Three Star hotel in Dalyan is awesomely built on 3000 m2 area of land surrounded by the picturesque scenery. The hotel's facilities includes lobby, library, a main restaurant and a TV lounge along with an outdoor swimming pool, sun terrace and a pool bar. Breakfast and dinner are served in buffet style. 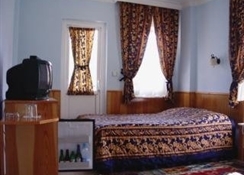 Guests rooms are designed for the comfort of our valued guests & have the amenities like bathroom with shower, hair dryer, telephone, satellite receiver, TV, mini-bar, air conditioning, safe and balcony. The Iztuzu Beach, one of the main breeding grounds for loggerhead sea turtles is 5 km from the hotel. Dalaman Airport is 30 km away.